The quote is from the character Gurney Halleck, a loyal member of the House Atreides. The quote is apropos since Josh Brolin will be playing the part of Gurney in the sci-fi futuristic adventure drama. Patrick Stewart (Green Room, Star Trek: The Next Generation) did the character in David Lynch's Dune way back in 1984. Adapting this incredible novel to screen has been the goal of filmmakers for decades with no one quite seeming to be able to span the massive world created by Herbert in his books. One cannot talk about Dune film-making without mentioning the ambitious, creative Chilean director's attempt at bringing the book to life. Alejandro Jodorowsky failed to make the actual film a reality, but he left behind some of the most creative visions of Dune ever made, even to this date. David Lynch, master filmmaker, made a really great version. He famously lost creative control, so we don't have his pure vision, but we do have an impressive, massive piece of a Lynch-made movie to watch. Telling the story was so complex when the original film came out in theaters, moviegoers were handed a word heavy sheet with the Dune storyline on it to get you read up on your Dune lore before the movie covered the span of what it covered. Now we come to Denis Villennueve, who says this about the Lynch version his Dune will undoubtedly be compared to: "David Lynch did an adaptation in the '80s that has some very strong qualities, I mean, David Lynch is one of the best filmmakers alive, I have massive respect for him. ... But when I saw his adaptation, I was impressed, but it was not what I had dreamed of, so I'm trying to make the adaptation of my dreams. It will not have any link with the David Lynch movie. I'm going back to the book, and going to the images that came out when I read it." Denis did some great work showing huge sets with gigantic sweeping landscapes in Blade Runner: 2049, which is why we are looking forward the vision he will bring to us in this new movie version that will be released to theaters in 2020. 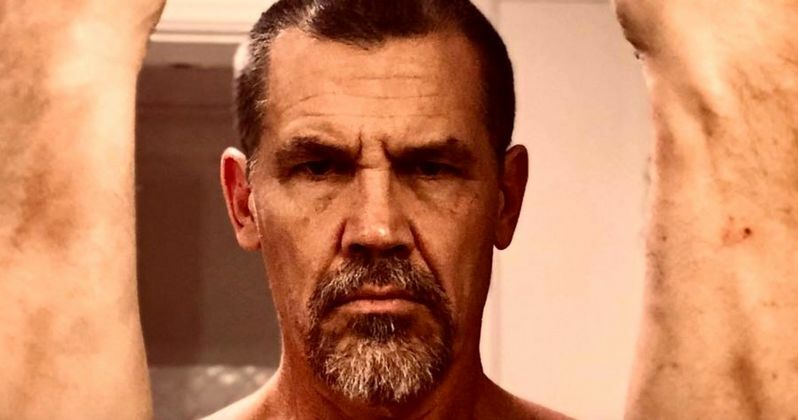 This comes directly from Josh Brolin Instagram.